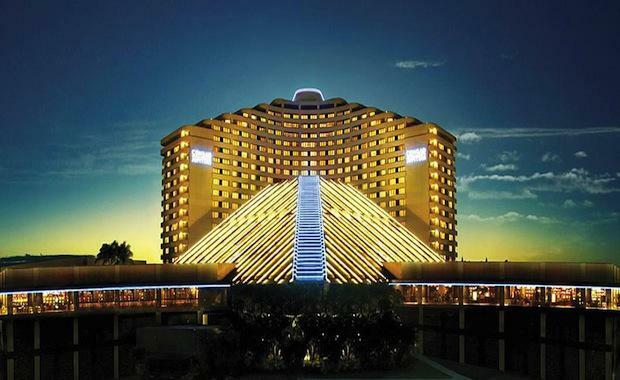 Having already set the standard for luxury and entertainment in the Broadbeach precinct of the Gold Coast, Jupiters Casino (a part of Echo Entertainment Group) is set to undergo a massive $345 million upgrade. The plan includes adding 17 storeys to the existing 592-rooms to become a six star hotel tower, creating an estimated 1,500 jobs within two years. Unlike any other casino development in Queensland, the 80-suite hotel will feature multiple levels for gaming with a rooftop entertainment precinct and stunning ocean views. To ensure minimal hassle to customers of the casino, the project is being completed through the use of multi-phasing, which has already had great success. “The facilities will be opulent and fantastic to visit; they will be the best rooms in the country when they open. The wow factor will be both indoors and outdoors. It’s pretty special,” Echo’s Queensland Managing Director Geoff Hogg said. To the delight of some patient guests, the renovation is already underway, with a new indulgent poolside experience already complete, including 9 private cabanas and bungalows and an ‘ultra-modern bar’. Two new restaurants have also opened as a result of the renovations, including Cucina Vivo and Kiyomi which run by internationally acclaimed chef Chase Kojima. The rooms are set to feature an extensive range of added amenities, some of which will include bathtubs facing the ocean, home offices, theatres, and even karaoke parlours. Ten levels will house a four-bedroom ‘super-suite’, which will contain only the finest in luxury furniture in combination with massive balconies. “We’ve invested a lot in tourism infrastructure and the local community and those things have continued to be very much a priority for us and we’re very excited about this development project,” Mr Hogg said. The luxury resort is set to open in late 2017, with final proposals for the development contract closing on February 16, 2015.